Electronic waste, or E-Waste, is a term used for electronic products that have reached the end of their useful life because they are either broken, obsolete, or simply unwanted. Those products contain valuable, and most often toxic, materials and should never be put in the regular garbage. Materials and components can be reused and should be recycled when reusing is not an option. 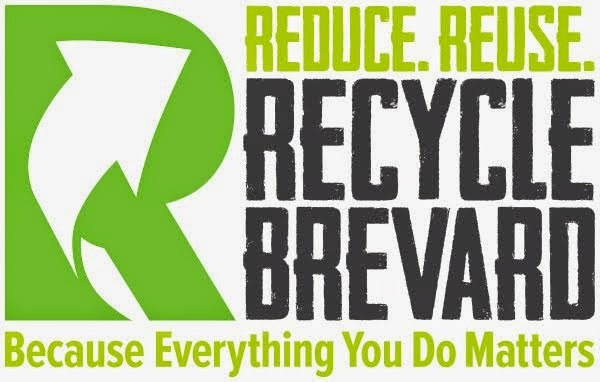 Recycle Brevard is committed to sending less to our landfills and creating a more sustainable community, so we have partnered with two organizations to be their DROP-OFF LOCATION for the reuse and recycling of electronics. This is a FREE service we offer to the community. If those are still working, you may choose to donate them to A+ Thrift Shop for Education, Brevard Restore, Sharing Center of Central Brevard, South Brevard Sharing Center, Sharing Center Merritt Island Thrift Store, and North Brevard Charities Sharing Center and the Women's Center in Brevard. We have partnered with Computers Advancing Education, an organization that repairs electronic equipment to donate them to students, schools, non-profit organizations, and individuals in an effort to support educational programs. What cannot be repaired will be recycled. Only about 0.5% of material is sent to landfills by CAE after all parts are reused and/or recycled. If you have any of those items, you may drop them off at our facility in Rockledge or directly at Black Hole Makers during their business hours - whichever is closer and more convenient to you. You may also choose to take electronics to be recycled at Best Buy. They offer recycling services for a wide range of electronics -- including printers -- and most of them free of charge. A lot of harm to the environment and our health can be done as a result of not properly disposing of e-waste. "Air can be polluted when scavengers burn electronic waste to get the copper. If not disposed of properly, toxins from electronic waste can enter the soil and water supplies" (https://www.theatlantic.com/technology/archive/2016/09/the-global-cost-of-electronic-waste/502019/). And in the process of harvesting for more new material, habitats are destroyed generating a tremendous impact on wildlife. Habitat preservation is a key piece for a sustainable community. In cell phones, for example, "there are tiny pieces of gold, tin, tungsten and tantalum (coltan), minerals that are all mined from the earth. These minerals are used to fuse circuits and hold our phones together, but the high demand for these finite resources has been linked to incredible violence and habitat destruction in the areas where they are mined" (http://www.onegreenplanet.org/news/jane-goodall-recycling-phones/). You can read more about habitat destruction and some of its impacts on websites like The National Wildlife Federation, Welcome Wildlife, U.S. Fish & Wildlife Service and WWF among others. If materials can be recovered and reused instead, the need for harvesting new will be less and the damage caused to habitats will also decrease.